You sit down and pull out that one random and multicolored notebook that you’ve had since you were inspired by the beginning of 2014 to start a journal. It has a hodge podge of pages that are random attempts at the following: gratitude lists, stream of consciousness, and a bad poem you wrote after a break up you were STILL not over (just me? oops). You wonder how high the chances are that you will set off the fire alarm if you try to burn that page. You sat down, what for again? Oh right—to write down a brand new list of New Year’s resolutions for 2018. Nevermind the fact that this notebook was part of a short-lived attempt at a resolution in the first place. What will this new year be full of? When I sat down to write things down that I WOULD do, DAMMIT for the next year, I looked back at the promises I’d made to myself in the past: promises to care more about health, or faith, or kindness, or accomplishment. Some things really did get better or got done, but many of the ones that were most important to me didn’t. Why? First of all, maybe I just really am not built to ever be able to do a pull-up. That’s under consideration for this year. More importantly, my resolutions in the past were for a fictional person. This new person would pull a reverse Cinderella—when the clock struck midnight, she would drop any bad habits or unfortunate coping mechanisms and suddenly pick up the habits that it takes other people months and years to build. But God, planning to be a new person is so fun—and you can use those colored pens you forgot you had. As fun as the planning is, it’s less enjoyable when the big plans you make never pan out, because you never created a way for them to pan out. I, at least, would create resolutions that didn’t take into account that I would get tired, or frustrated, or sick, or be a human. None of that was allowed in the new year! Either-Or logic would then take over: either I stick to this perfect new way of existing, OR I get discouraged by messing up once and quit the whole thing by January 5th. (Literally never has a saint been more relatable. I will fight about this one.) While I think the not doing what we want to do thing is a common part of the human experience, I also think knowing this about ourselves can help us make resolutions towards being better that fail less. If we plan for failure, at least we won’t be scared of it. If we plan for the fact that we are a bit scatter-brained, then when we are lost and confused by our big ideas, we will know it’s okay. If we see the problem coming, then we are much less likely to give up when it comes. This year for resolutions, I am making a plan for who I already am, not who I want to be someday. And instead of saying “I will do x, y , and z for the next 365 days or die trying”, I want to say “What is a choice I can make today, this week, this month that will help me towards the good things I want to live out?” Instead of making a rigid plan that I will almost definitely end up not following within one week, I’m going to treat the process like trying to unlock a safe: listening and trying to find the click when I hit the right number, keeping what works, and moving on methodically to the next thing. Logistically, this means is I am going to try to do better and keep track of three small habits a month. I will try to learn what works and what doesn’t, what brings joy and what definitely does not (will be writing on this more in the future!). My only real resolution is this: to sit next to the smelly and ugly fact that perfection is not possible this year. I’m going to try to give that fact a big embrace, and then introduce it to my other favorite fact for 2018: just because you will never be perfect, doesn’t mean you shouldn’t give your hopes a grand, ugly, and perhaps successful try. I was recently asked to answer this question: How do you form community in post-grad life, and what are some challenges you’ve run into in forming one? My Dad’s favorite way to refer to Notre Dame: Catholic Disney World. I knew Notre Dame was a different and beautiful type of place, but I never really believed that fully. For better or for worse, it truly is. I was super involved with faith life and community at Notre Dame. I lead retreats and small groups for campus ministry, I did Vision twice, I had a theology major, and I was an RA. In other words, I bought in HARD. My experience or advice thus might not be applicable for people who were excited to leave Notre Dame. I was ready to leave, but I didn’t want to. I knew it was time to “go forth”, to use a bit of a cliché. There’s a story by David Foster Wallace called This Is Water. It is essentially about a bunch of fish who are swimming around, constantly bathed in water, but because they are so used to it being there they cannot name it because it’s ever-present. This is what community is like at Notre Dame—you barely realize how much is there, because you are enveloped and surrounded by it constantly. So when you leave, you’re a fish out of water? No, Adulting is not that bad. However, You Are Bad AT IT. If you’re at all like me, you’re bad at many things, but it is like this with community, too. At ND, there are tons of structures and clubs in place to help people cultivate and be wrapped up in a sense of belonging. 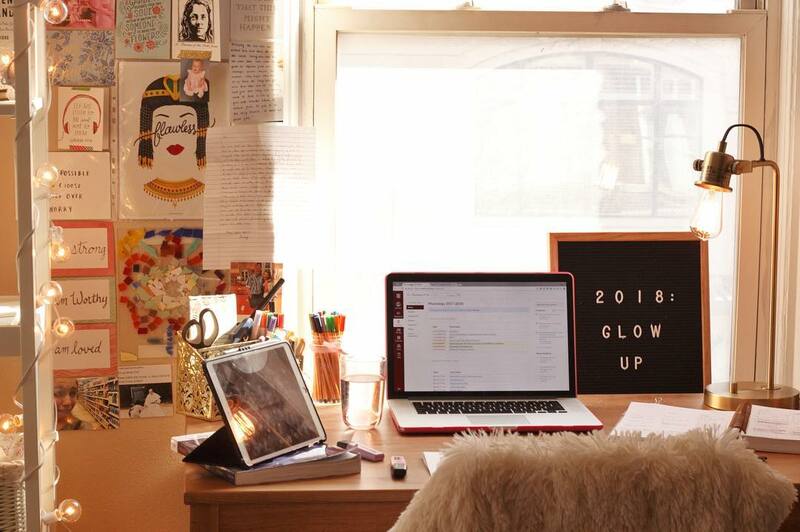 In post-grad, you mainly have to build these things for yourself. In this sense, it is both terrifying and satisfyingly liberating. If you’re anything like me, you will feel both. That being said, you will form community. It just might not be as immediate or look how you first want it to. Since you’re building it yourself, you have to do the work—put yourself out there, seek to find common ground, and perhaps embarrass yourself a bit. It’s not comfortable. Think back to your first year at Notre Dame. It didn’t feel how it does now, as a senior about to leave. You were most likely scared and uncertain, and definitely felt alone sometimes. But eventually, it became home. Post-grad doesn’t build in community like Notre Dame does, but you’re also no longer 18. It’s harder, but you are better at it than you were four years ago. My Rector referred to your first year out of ND in a really apt way: it’s your freshman year of adulthood. You will not know how to do super basic things, you will get parking tickets, you will accidentally eat an expired egg and be sick for two days, and you will miss the automatic love that surrounds you at Notre Dame. Luckily, you probably won’t make the freshman year lanyard mistake again. You will be in a brand new place with people who think and act and talk differently than what you got in the Notre Dame Bubble. This is difficult but a wonderful blessing. Choose to have a learner mindset rather than a judging mindset. This is one I had to be taught and am still learning. You will get lonely sometimes, whether that be when you’re by yourself or you’re with a ton of new people. It’s okay–don’t run from it. Even in loneliness, you don’t ever have to be alone. Let it deepen you. you don’t, learn to lean on the family of Notre Dame that loves you from near and far. At the end of the Notre Dame Prayer Book, Fr. Jenkins write about something called the Notre Dame Spirit and taking it out into the world. For me, the Notre Dame Spirit is community that does good. While leaving Notre Dame is disorienting when trying to find community, it also opens up in you a huge sense of gratitude for ND and an awareness of what it has planted in you. You carry in you an agent of and an ability to create those lovely communities where you go, and that’s how you take Notre Dame with you. It’s tough, but it comes, and you love it more for the time you had to spend making mistakes and building it. Wait and see.